Mark M. Brennan is the managing partner in the firm and member of the Executive Committee. He is a member of the American Bar Association, the Illinois State Bar Association, the Chicago Bar Association and various bar committees and sections pertinent to his areas of practice. Mr. Brennan was also selected in 2014, 2015, and 2016 as a Leading Lawyer, as compiled by the Law Bulletin Publishing Company, in health law and medical malpractice defense law. Mr. Brennan devotes his law practice to civil litigation and issues pertinent to the health care profession. He has successfully tried several cases to verdict. Mr. Brennan concentrates his trial practice in the area of medical malpractice defense but also represents physicians and hospitals in all areas of litigation involving commercial, administrative and personal tort matters, and manufacturers of medical devices. He represents some of Chicago’s top children’s hospitals and pediatric specialists, and has defended some of the most complex and highest profile cases filed against academic medical institutions both at his former firm and at Brennan Burtker LLC. 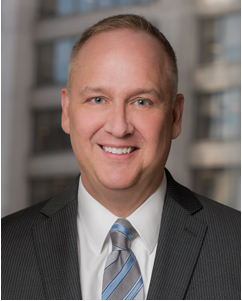 In addition to his litigation practice, Mr. Brennan serves as a consultant to many Chicago area hospitals on matters ranging from evolving health law pertaining to HIPAA, quality assurance, consent and other regulatory compliance issues to trends in medical malpractice law and medical device litigation. He also has a transactional practice that includes contract formation of medical practice groups for physicians, and a general commercial litigation practice. Mr. Brennan is the author of “Legal Issues Involving Children – A Hospital’s Guide” and “Jury Selection: A Defendant’s Perspective.” Mr. Brennan has also lectured and authored numerous papers dealing with issues of consent and confidentiality as they pertain to children in a health care setting and hospital law at various Chicago area hospitals. In addition, Mr. Brennan has lectured on legal privileges in the context of medical malpractice actions including the Medical Studies Act, HIPAA and the physician-patient privilege at hospitals and various bar association seminars for lawyers.